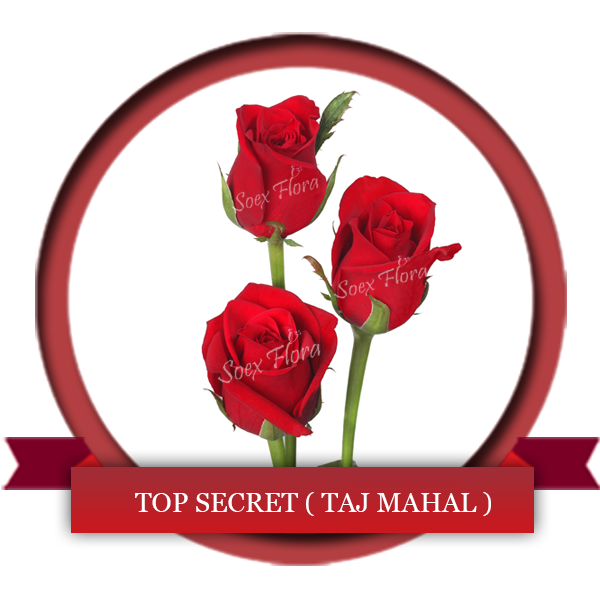 Deep Red Rose symbol of love Top Secret also known as Taj Mahal is amongst one of the very popular variety worldwide due to its magnificent beauty and very attractive color and no thorns which makes it easy to hold and make arrangements. Available in length 40 -70 cm Order Top Secret Roses from Soex today !! !